FIDM is committed to protecting your privacy. This FIDM Statement of Privacy applies to FIDM's family of websites and governs online data collection and usage at all FIDM sites and services. Please read the FIDM Statement of Privacy below. The FIDM family of websites, are geared toward a general audience above the age of thirteen. FIDM does not knowingly collect personal information from children under the age of thirteen. This Statement contains a section which details FIDM's special policy regarding the collection and use of children's personal information. On some sites, FIDM collects personal information, such as your email address, name, home or work address, or telephone number. There is also statistical information about your computer hardware and software that is automatically collected by FIDM and may be shared with other websites within the FIDM family of websites. This information may include: your IP address, which is a number used by computers on the network to identify your computer so that data can be transmitted to you, your browser type, domain names, the time you accessed our website, and referring website addresses. This information is used by FIDM for the operation of the website service, to maintain quality of the website service, and to provide general statistics regarding the use of FIDM websites. FIDM's family of websites uses anonymous "cookies" for the purpose of analyzing web traffic on our sites. On occasion, cookies will also be used to help personalize your online experience. A cookie is a text file that is placed on your hard disk by a web page server to help identify the user's computer and can be used to help FIDM recall your information on subsequent website visits. Cookies cannot be used to run programs or deliver viruses to your computer. In order to use certain secure areas of the site, cookies must be enabled. If you have questions about how to enable "cookie" settings, please visit http://www.enablecookies.org. FIDM collects and uses your personal information to respond to or to deliver the information or services you have requested. For example, we gather your personally identifiable information when you send us email. We will use this information to respond to your email. FIDM may also use your personal information to inform you of other products or FIDM events. If making a purchase, we will collect your physical address and credit card information. You may choose not to provide us with any contact information; however, you will be unable to use certain features of our sites. You also may choose to unsubscribe from any of our services or on-line mailing lists at any time. 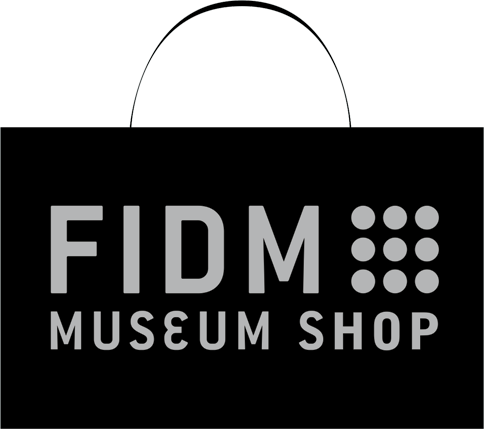 You may also access the personal information we have collected about you and correct any inaccuracies by sending an email to info@thefidmstore.com. FIDM strictly protects the security of the personal information you provide. FIDM secures your personal information on computer servers in a controlled, secure environment that is only accessible by a limited number of authorized persons. When highly confidential information (such as a credit card number) is transmitted over the Internet, it is protected with encryption, such as the Secure Sockets Layer (SSL) protocol. The FIDM family of websites is intended for users above the age of thirteen. FIDM does not knowingly collect personally identifiable information from any child under the age of thirteen. When we do receive such information, we delete it as soon as we discover it and do not use it or share it with third parties. This website contains links to other sites. Please be aware that we are not responsible for the privacy or merchant practices of such other sites. We encourage our users to read the privacy statements of each website that they visit. This privacy statement applies solely to information collected when you visit FIDM's family of websites. FIDM will occasionally update this Statement of Privacy to reflect student and customer feedback. If there are material changes to this Statement or in how FIDM will use your personal information, FIDM will prominently post such changes before implementing the change. FIDM encourages you to periodically review this statement to be informed of how FIDM is protecting your information. FIDM welcomes your comments regarding this Statement of Privacy. If you have any questions, please contact FIDM by email or postal mail. You may contact us by email at info@thefidmstore.com.